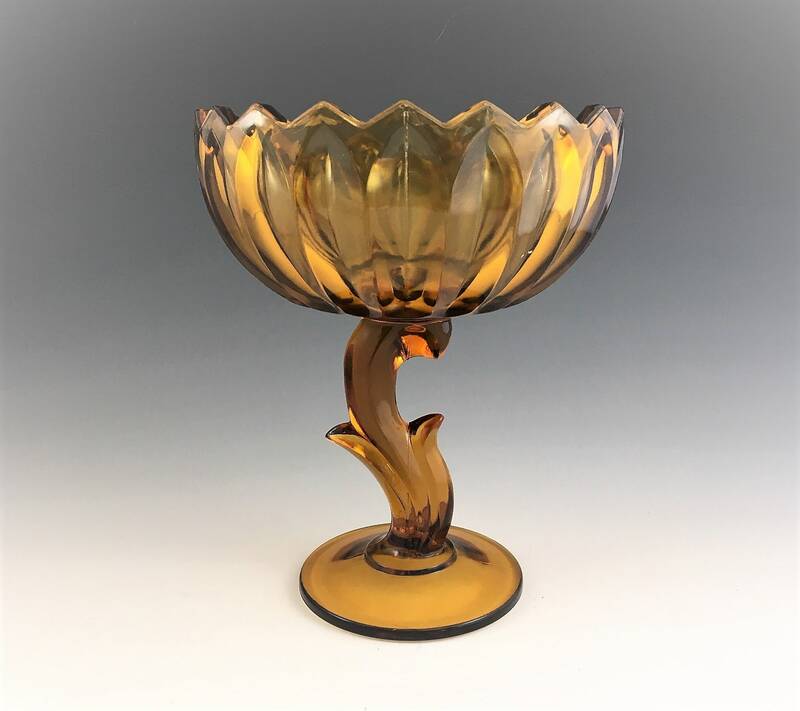 Featured is a wonderful amber glass compote from Indiana Glass. This piece is from their #1007 line which is known to collectors as Lotus Blossom. 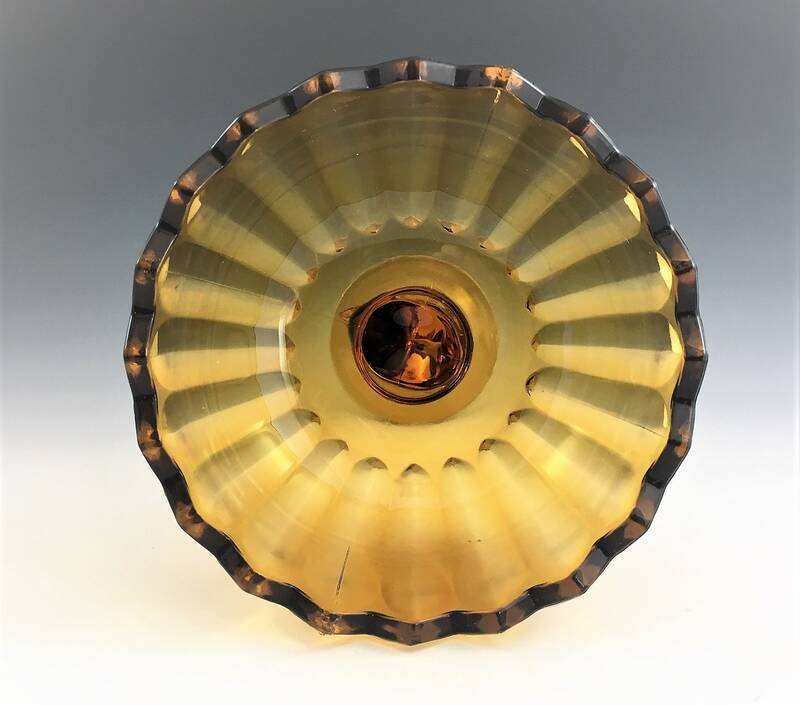 Originally issued in the early 1940's, this amber piece was produced in the 1960's. It measures about 7 1/2 inches tall and about 6 inches in diameter at the rim. 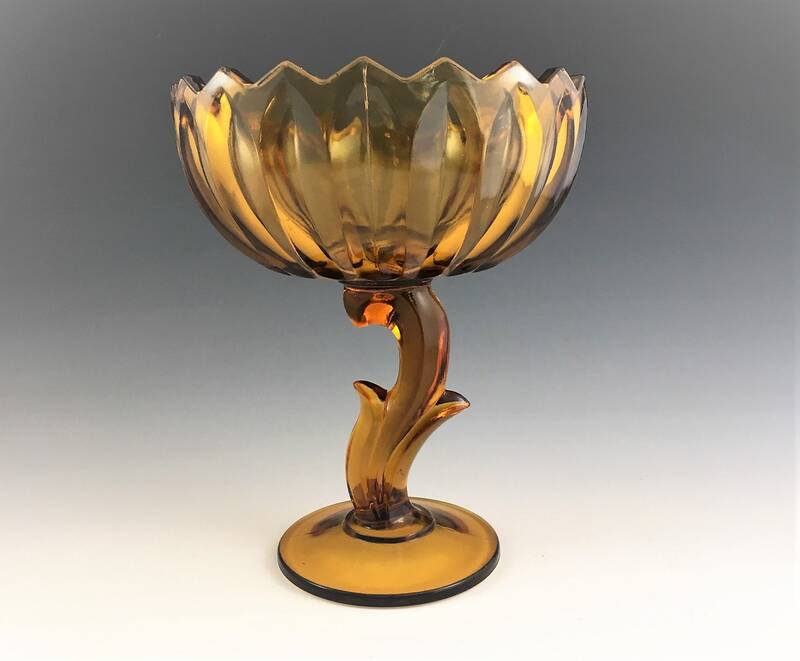 This piece makes a wonderful centerpiece for your dining room table, looks great in the den on a bookcase or end table, or is super in the bathroom to hold myriad items such as soap, toiletries, or washcloths. Excellent condition, free from any chips or cracks.